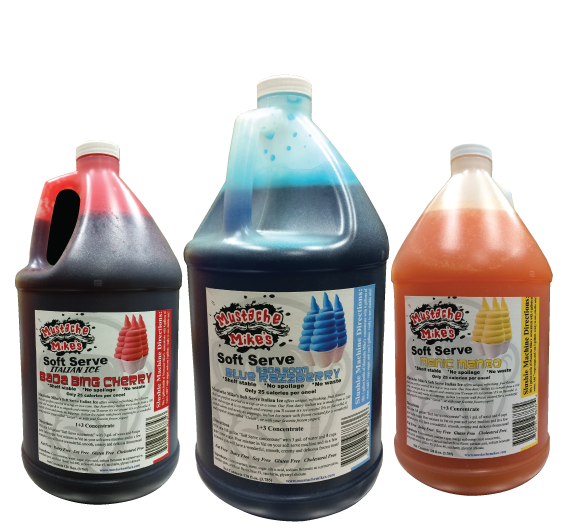 THE ABOVE TOP 20 FLAVORS ARE ALL AVAILABLE IN 3 GALLON ROUND TUBS. • Say “Later” to the same old boring snow cones, yogurt, ice cream & stuff on sticks. Tempt your taste buds with all of our cool and refreshing flavors. 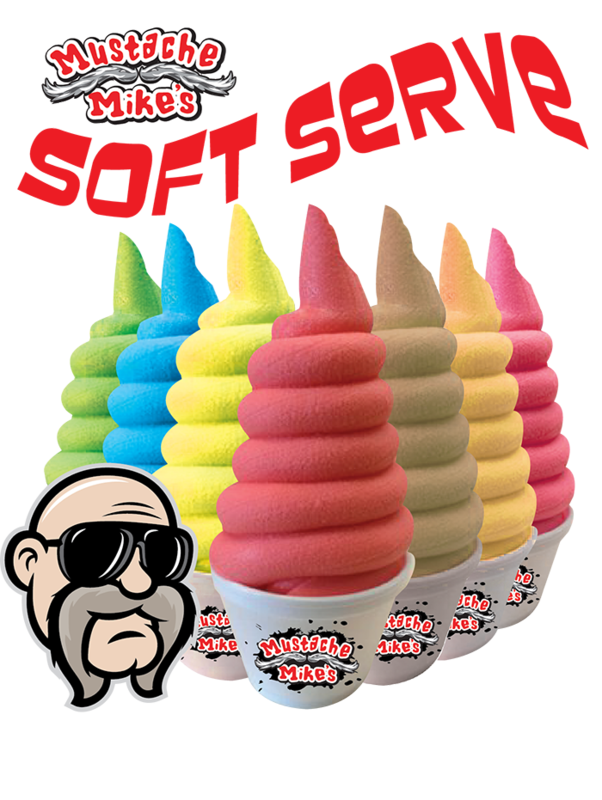 • Mustache Mike’s makes more flavors than any other company in the world. Why? “Because we can!” and they won’t!! If you want it, we can make it but, check with your attorney before you give us your idea or recipe because, if you give it to us it’s ours for ever. Then give it a good name so your mom will be proud!